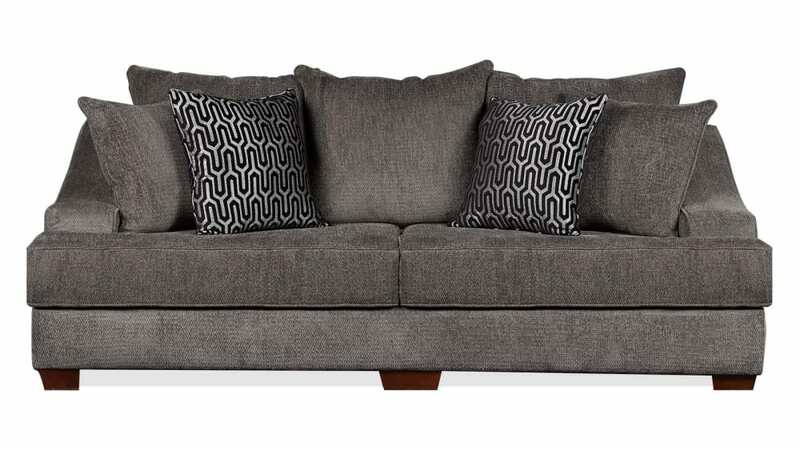 This sofa was proudly Made in America! 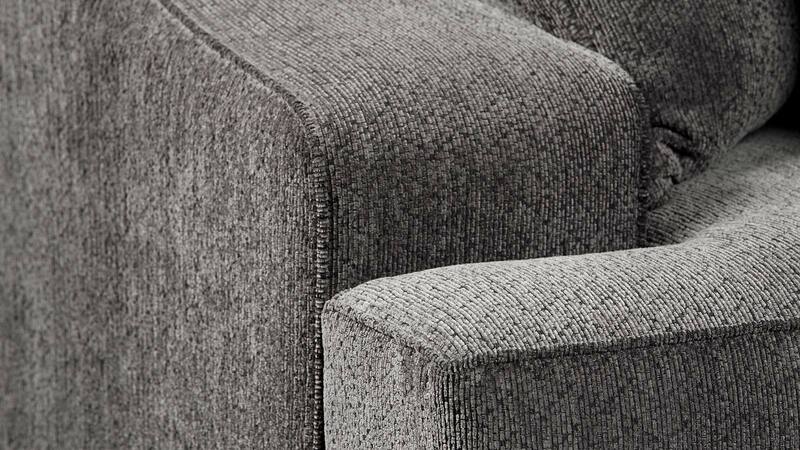 Dense foam cushions, with Dacron-wrapped cores and attractive welting, are reversible, which will extend their lifespan. 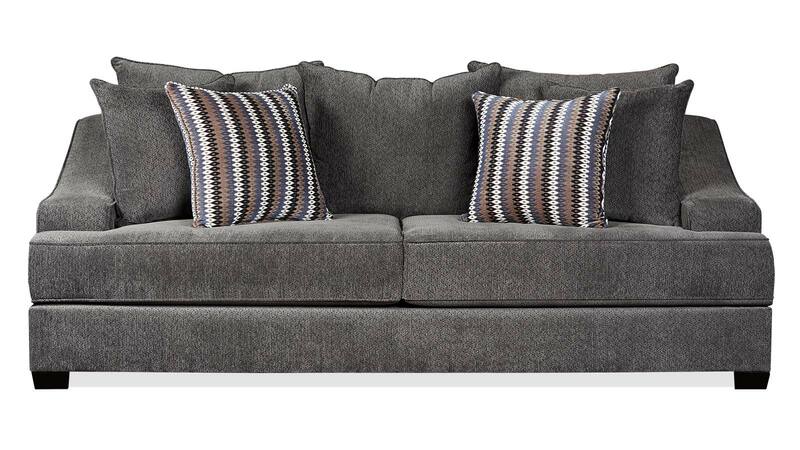 Visually appealing, charcoal-gray upholstery is the latest generation of performance fabric. 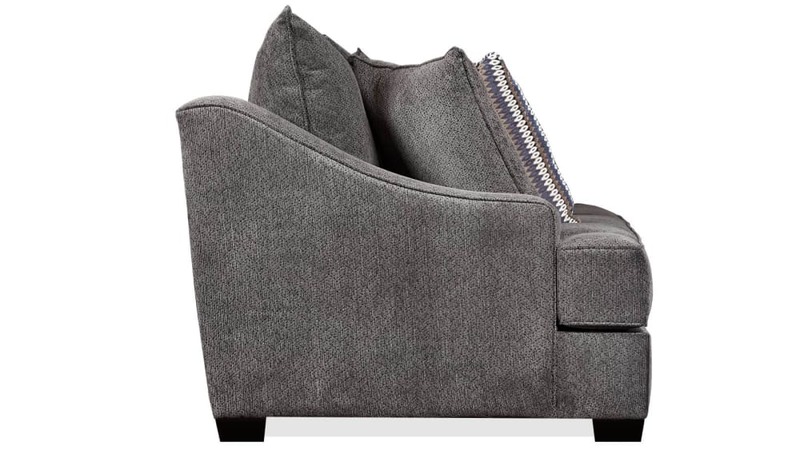 Large tapered legs and huge track arms fit the styling perfectly while providing excellent support. 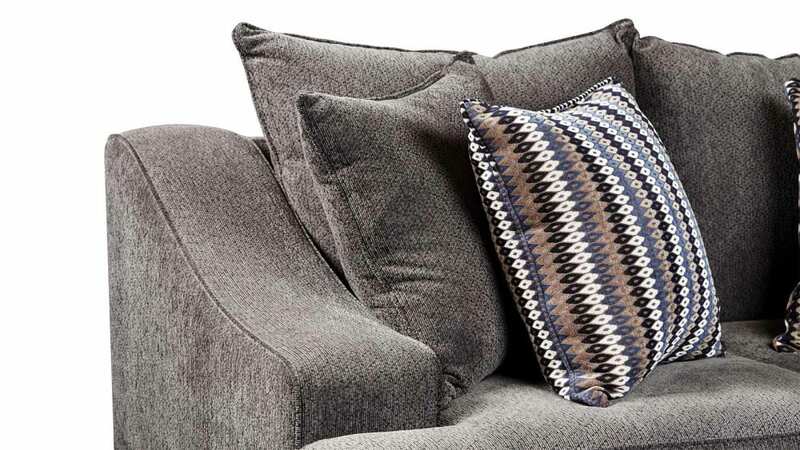 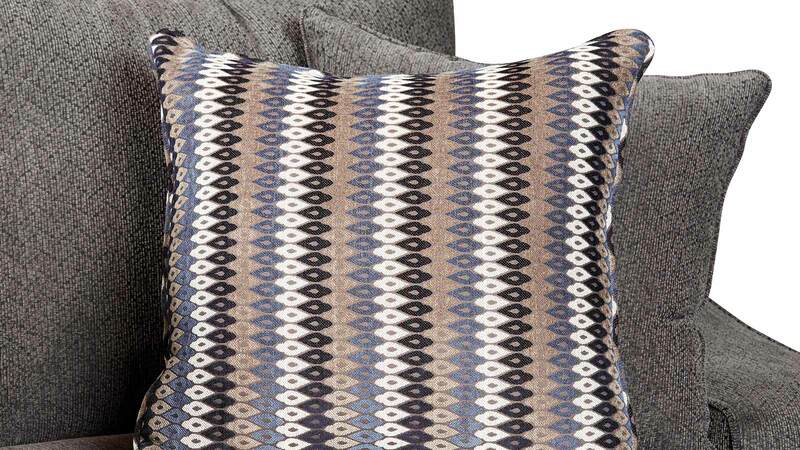 Attractive, square accent pillows coordinate with the charcoal color. 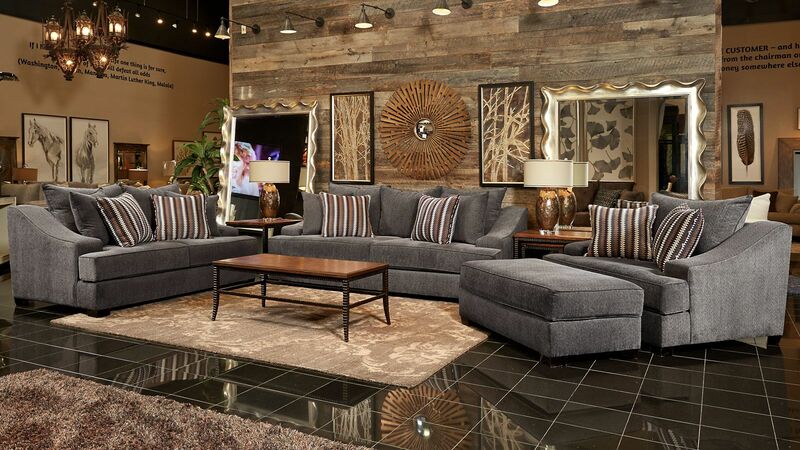 Gallery Furniture also has the matching loveseat, chair, and ottoman available to complete this set!